Perceived as a problem that only affects adolescents, cyberbullying has taken its toll in the lives of kids. As children become tech-reliant, there’s an increasing potential for them to be victimized online. According to Common Sense Media, children aged 7-8 years old are more likely to experience online mischief, especially when they visit sites where they can interact with other users. Cyberbullying comes in different forms: flaming (intense argument), exclusion (singled out), masquerading (creating fake identities to harass), and outing (revealing private information to the public). As parents, the key here is to prevent this online mischief from targeting your kids. As your child matures, it’s best to instill good habits to prevent against future cyber predators. The key to finding the right gizmo is to purchase one with a built-in security feature. A perfect example would be the Samsung Galaxy S4. The device is equipped with Samsung’s KNOX Solutions Security. It’s an Android-based solution engineered to set parameters on the open source nature of the platform. Using this software is ideal as they act on your behalf in supervising your kid’s activities by preventing access to malicious websites. In most cases, there’s no need to keep this a secret to your kids. Prevention becomes more successful when there’s a trust between you and your child. According to Parent Further, staying involved in your kid’s network gives a positive influence. It is advisable to impose a set of rules when they go out or stay over at a friend’s house for school project. Moreover, it is imperative to have an open communication with them. After arriving from school, you can talk about how his day went, what he learned, and what’s going on with his friends. It is also essential to develop a dynamic relationship with the teachers as well. During Parents-Teachers meetings, you can ask for your child’s evaluation sheet and discuss how he behaves with his peers. Since most cases of bullying happen in schools, you need to evaluate the culture of the school where you plan to send your child. This includes the chance to assess whether the classrooms and the learning facilities are conducive for learning. It is important to take some time visiting the school to get a first hand experience of the place. Make sure that the institution is running an anti-bullying program to guarantee your kid’s safety. Aside from these, consider the caring environment offered by teachers and administrators. According to TIME.com, the relationship of a teacher and a child is far more important than the curriculum. It happens when there’s a tremendous change in your kid’s online activities and engagements. Instead of spending time online, your child diverts his attention towards other activities. Also, it’s when he suffers from occasional anxiety attacks each time a text message pops up. 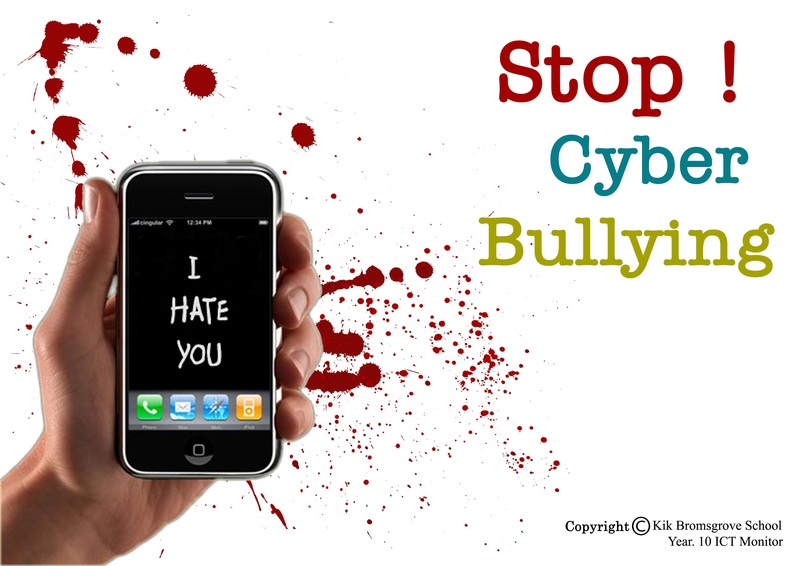 Widely spread, we cannot stop cyberbullying from happening. However, we can help our child veer away from possible ways that could lead to this scenario and mold them in a way that they won’t let this interfere with their development in school and as an individual. Do you have other tips you want to share with other readers? Leave a comment below.